Choose the level of custom design work you require, select the features you need, calculate your cost, and follow up with us on any questions you might have. VERY simple! You select a design from our Ready-to-Go Designs that works best for your business. Extra Modifications: If the design needs changes beyond our standard customization work, we'll do it for you at a low additional cost. Our designers carefully solicit from you all of your thoughts on what you want your website to be: style, colors, functionality, etc. We'll then produce a series of designs, each with multiple variations, for you to review. We go back and forth until you're delighted with the finished look. Extra Modifications: Whatever you desire. Standard FeaturesChoose what you want, no extra cost. 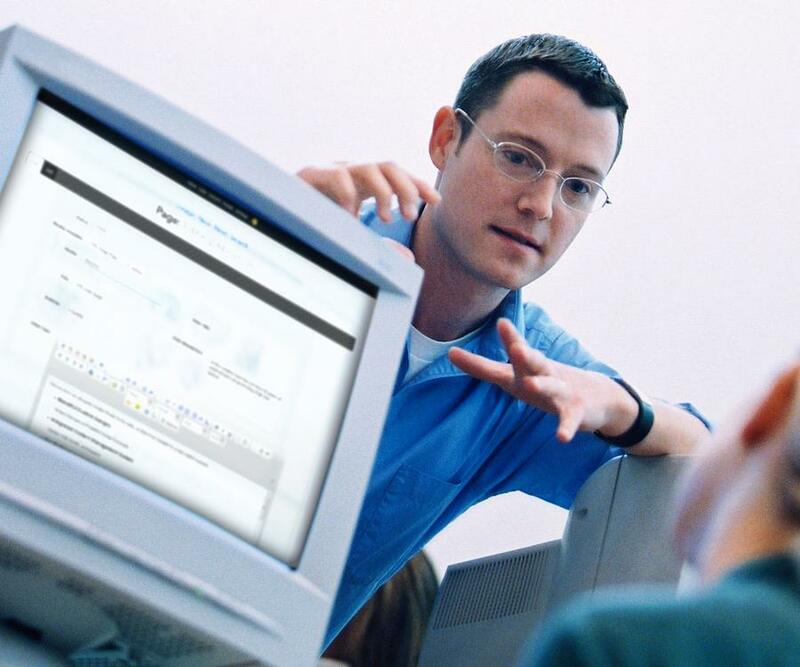 Our custom Content Management System allows YOU to completely control all aspects of your site's content. The era of frustration making changes to your website are over. While producing great designs and usable interfaces are core objectives for us, the Content Management System (CMS) we provide our clients is the real jewel of our crown. All website content (other than framework elements), including all written content, photos and videos, will be managed and modifiable through an intuitive, easy-to-use online CMS. If you can use Word or a word processor, you have the ability to make unlimited changes to your website. Access will be password protected, and you'll be able to login to your CMS from any computer, at any time. Treat yourself to 2 full years of hosting and customer service as necessary. We've designed our Content Management System to be incredibly easy to use, but we're standing by to assist you should you need help. And with two full years of hosting and customer service included with all our websites, you can expect solid website up-time and customer care. 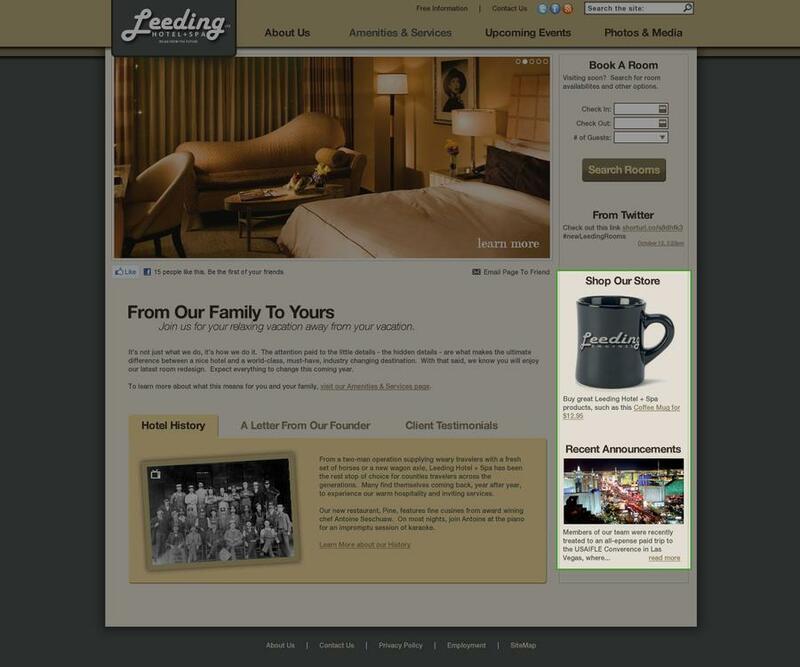 All of our sites come fully optimized for the leading Search Engines. Expect proper link structure, keywording, page titling, site map, keyworded URL’s, and more from the start. 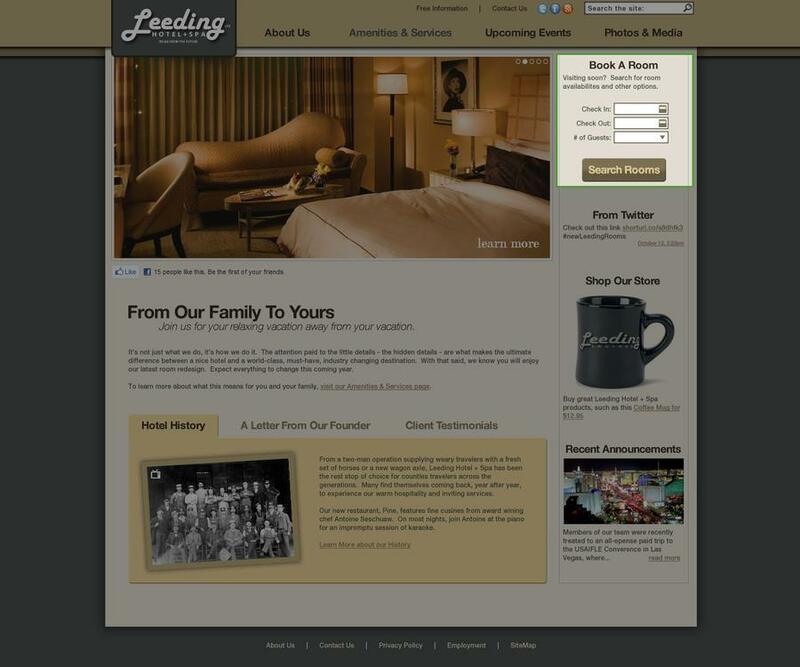 All of our sites come fully optimized for Search Engines. All onsite work like proper link structure, keywording, page titling, site map, keyworded URL’s, etc are elements you will receive from the start. If you have an existing website, we redirect all existing URL’s in order to maintain current Search Engine ranking while our Content Management System allows edits and additions to all meta-information and titling for pages, records and media files in order to keep your site constantly optimized. We build our sites according to the latest XHTML and CSS web standards, while ensuring backwards capability. We build our sites according to the latest XHTML and CSS web standards, while ensuring backwards capability. For you, standards translate to an accessible modern browsing experience. You supply the content for up to 15 pages, we'll take it from there and implement it to help you get started. You supply the content for 15 pages, we'll take it from there and implement it to help you get started. Remember, at any point in the future you can easily add more pages using our Content Management System. 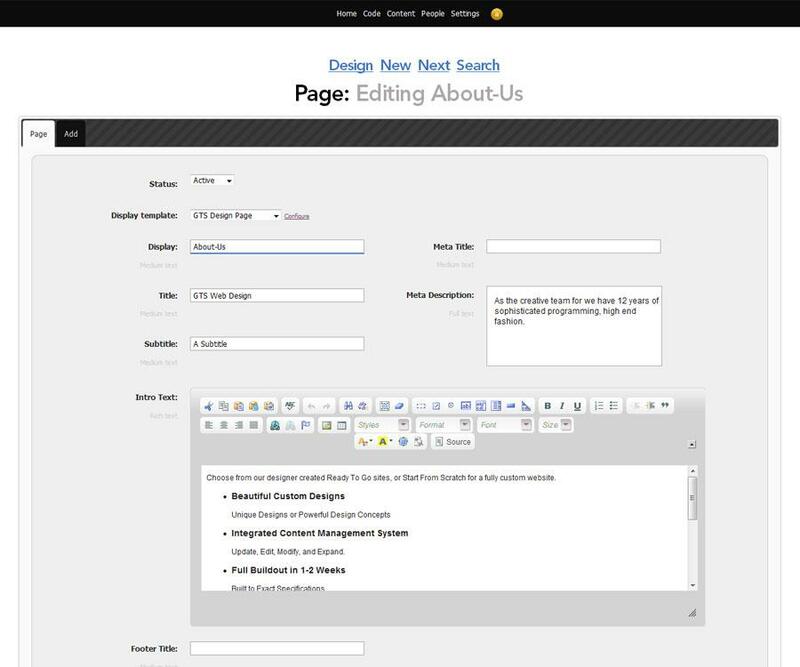 All page content is fully editable by you. Revisions and additions through the Content Management System will give you full control over the text (numerous sizes and fonts), images, videos, etc and where they are displayed on your site. You will have the capability to add an unlimited number of pages for the site ending any issues with content limits. We design each site’s navigation with ease of use in mind, and our Content Management System makes navigational elements easily updateable. We design each site’s navigational elements with the goal of enhancing the look and feel of a site while generating a way for users to easily find a site’s most important content. Not only do our navigational elements effortlessly direct users to the content they desire, they also play an important role in benefiting the SEO of the site and leave you in control of site navigation. Our Content Management System makes the navigational elements easily updateable, allowing the site’s navigation to change with the ever-updating flow of content on a site. 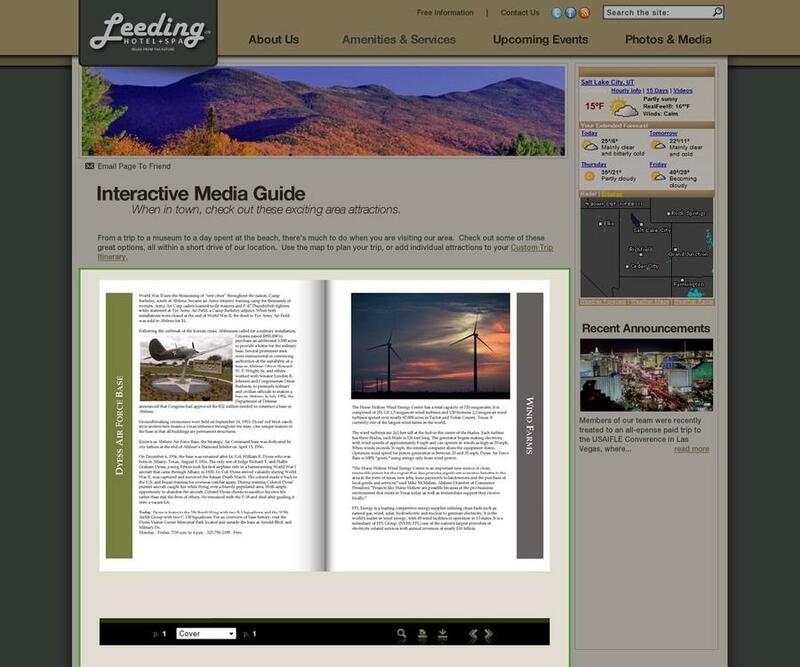 Consider this space for displaying media the main Attention Grabber for each page. Header Images tend to be at the top of each web page, and are essentially the visual focus of each page. You will have complete control over the header media elements and captions by way of our database-driven system. 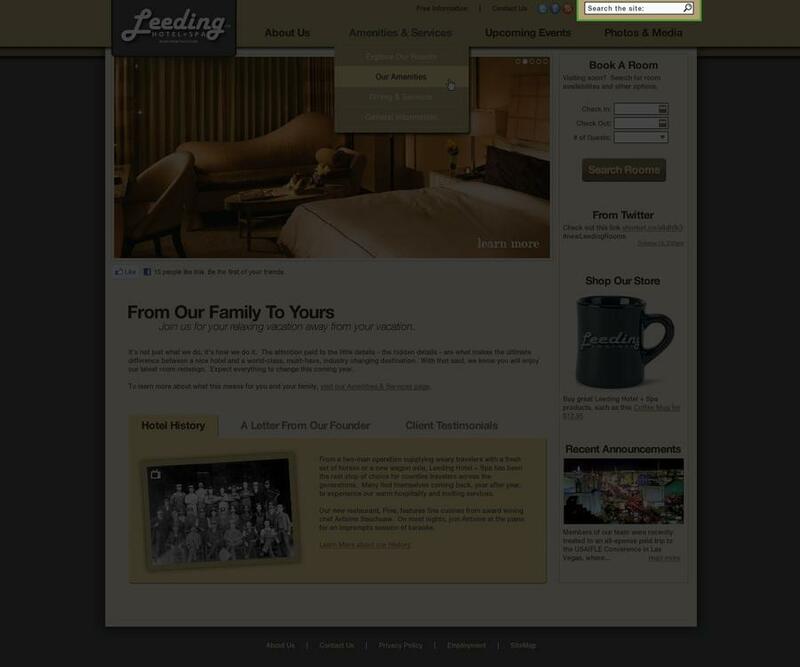 Add or remove headers, target different images to different pages at any time... you have control over it all. 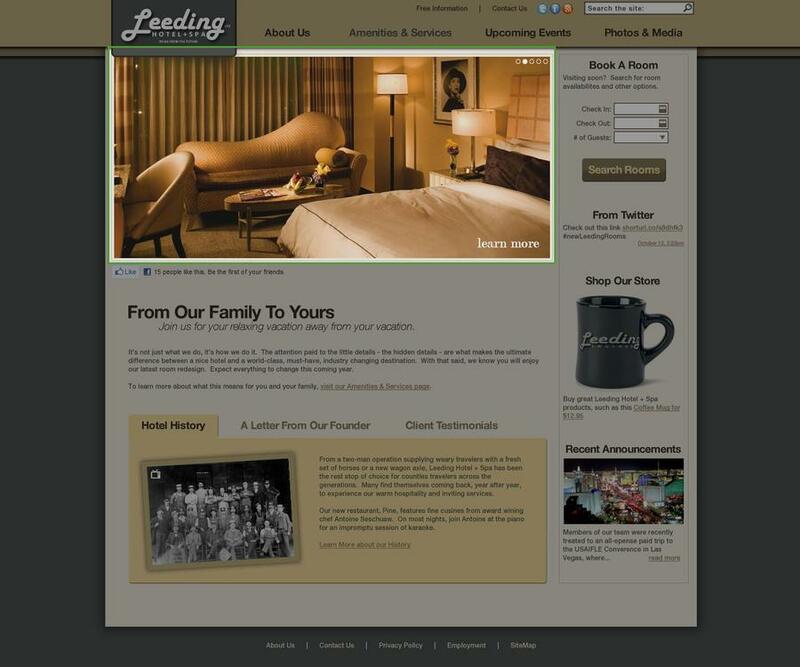 Depending on your site's design, each header can display as an animated slideshow or can display a single header image per page load. 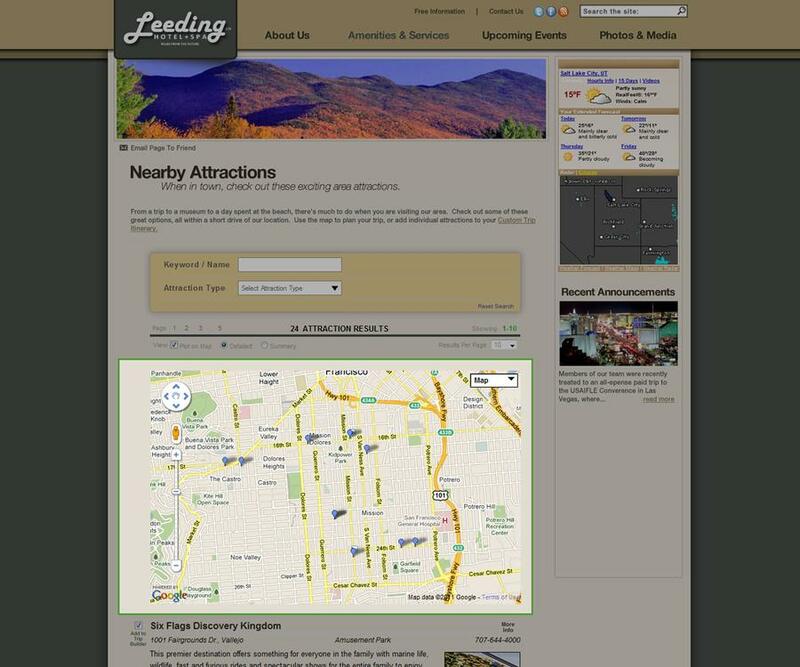 The dynamic mapping functions found on our sites offer a more interactive way to provide users with maps that can dramatically enhance usability and information delivery. Our designs contemplate including geo-data (i.e. latitude and longitude) as part of all pages and records. 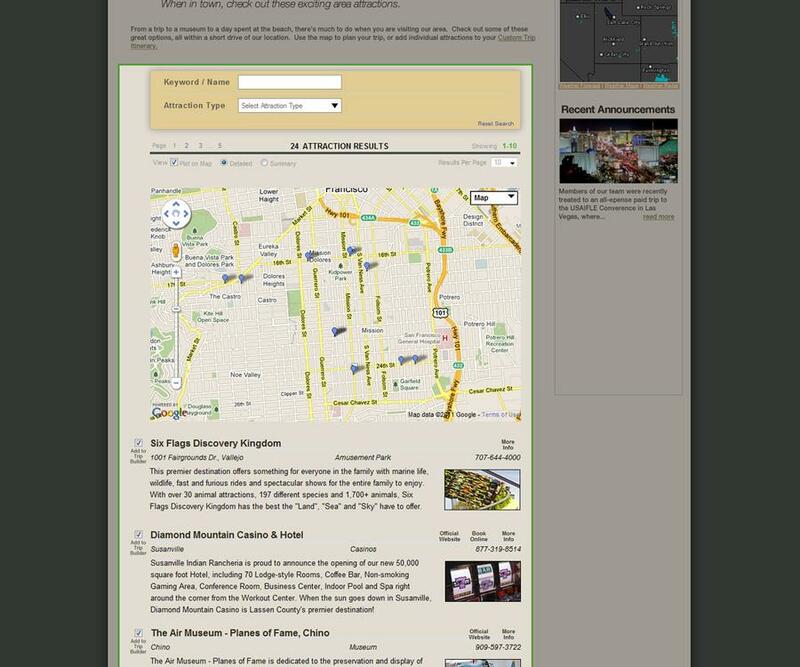 Plot record positions, directions, routes and more on a Google map that's integrated into the Content Management System for a dynamic and useful resource capable of being displayed on any given type of page. Each page can display subsections in a variety of styles, including sequential or tabbed for easy useability. Each page can display subsections in a variety of styles, including sequential or tabbed for easy useability. Media and specific elements can be associated, via the Content Management System, to individual page sections as well as the page itself. Integrate social media accounts by adding prominent iconic links work into site, programming automatic feeds of account activity, and implementing auto-updating YouTube video page connected to account. The social media feeds can be integrated to supplement any page or can all be brought into one page to highlight all social media activities. Send pages to friends, save pages with your favorite social bookmarking tool, post page links on Facebook and Twitter, and more directly from your site’s pages. Integrated into pages through a non-intrusive dropdown button, the process of sharing and bookmarking pages has never been easier. This gives users a real-time picture of what’s going on within an organization and community and in the case of the YouTube feed provides actual content for the site as it is added into a YouTube account. 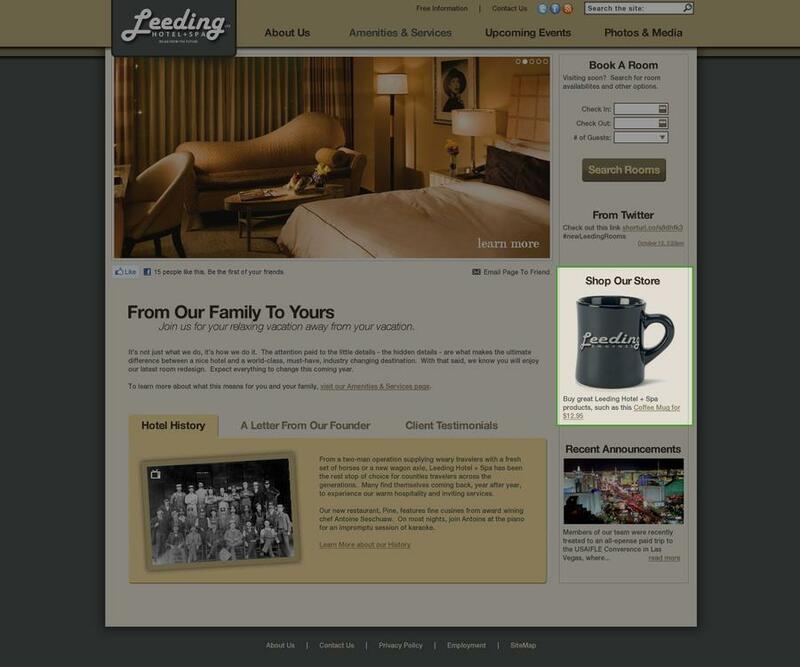 Your site can be built in a way that lends itself well to mobile devices. Websites will be viewable by browsers on smart phones and will appear very close to how they would if you were to navigate to the site on a computer's browser. We will work to make sure the site looks and functions well enough that it is useable when viewed on smart phone browsers. This is not a separate site designed specifically for mobile browsers, it is your actual website viewed on a smart phone's web browsers and thus will be layed out the same. If you'd like us to build out a totally separate website specifically designed for mobile browsers please see the details on that option. The easiest method for your website's visitors to contact you. The easiest method for your website's visitors to contact you, our Contact Form is easy to use, secure against spam email, and automatically logs all contact information as well as sending you an email. 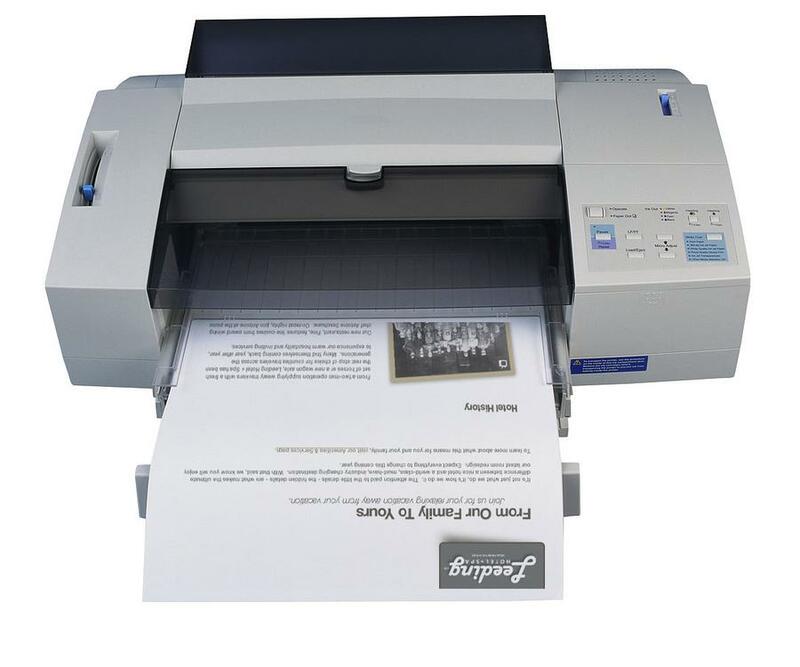 Empower users to quickly print out your website pages in a clean, printer-friendly format. Empower users to quickly print out your website pages in a clean, printer-friendly format. They just click a button to see re-formatted page and print. It automatically removes all the flashy elements that would otherwise compromise the printability of a page. We will code the site to automatically pull the current weather and a multi-day forecast for display on a weather page. We will code the site to automatically pull the current weather and a multi-day forecast for display on a weather page. With a variety of different styles available to display the weather feed, you’ll have the opportunity to choose the right look, feel and functionality for your site. Allows a user to email the current page link to a friend via email encouraging the recipient to visit the website. Each page can be coded with a button to allow the user to generate a printer friendly version of the page for his or her use or to share. The automatic creation of several sitemaps to facilitate human and search engine navigation of your site. The automatic creation of several sitemaps to facilitate human and search engine navigation of your site. 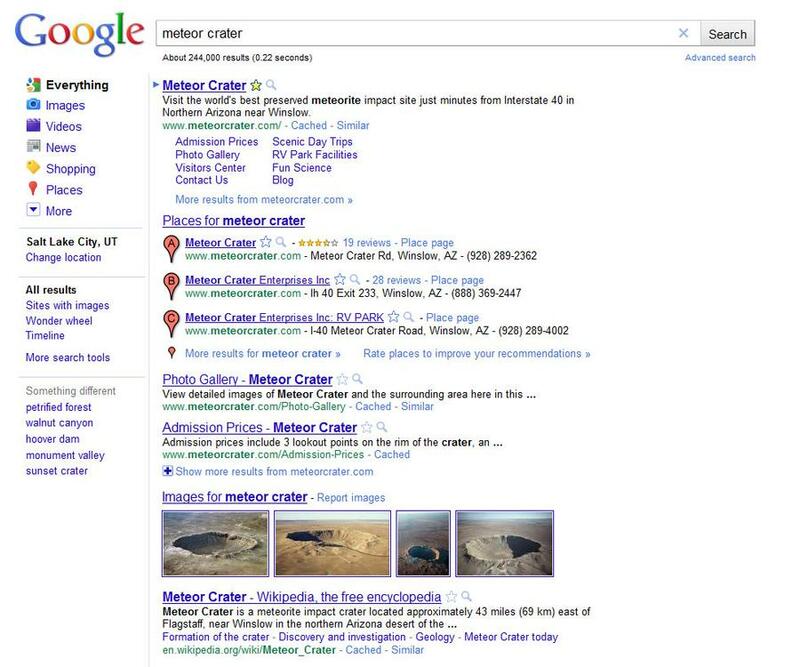 Website visitors can use the human-readable sitemap as a guide to exploring your site, while incoming search engines will use their sitemap to fully index your site's content. Easily target photos to specific pages through the Content Management System. Any page can display photos through a slick animated slideshow module. You will be able to easily target photos to specific pages through the Content Management System, which automatically sizes the photos appropriately and displays them in the slideshow in the order you specify. You may also have a stand-alone Photo Gallery page included free of charge. You select the detail of reporting. 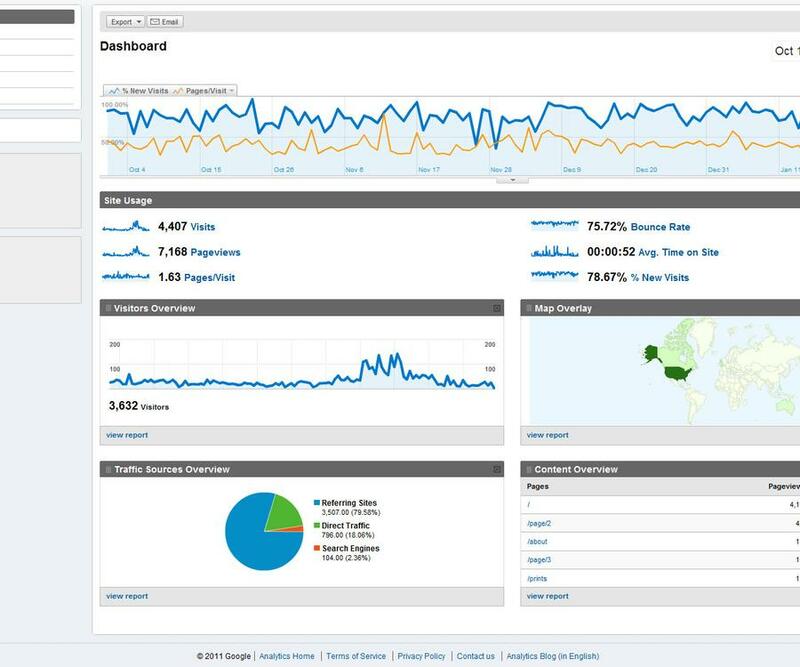 Everything from visitor traffic and duration to specific links clicked and tracked. You select the detail of reporting. Everything from visitor traffic and duration to specific links clicked and tracked. We use the leading website tracking and analytics tools to keep you informed about your site's content, traffic, and use. We will integrate any free-standing YouTube or Vimeo video(s) into the new website and its expected page(s). We will integrate any free-standing YouTube or Vimeo video(s) into your new website and its expected page(s). We will work with you to make sure your existing videos from your current website and/or any new videos ready for insertion make it over to any new website being developed by us. We will also work with videos not hosted on YouTube or Vimeo, however the insertion of such videos must not require any encoding work be done before compatibility is achieved in order for this to maintain it's status as a free Standard Feature. This does not entail the creation of a Video Gallery to display multiple YouTube or Vimeo videos. Special FeaturesAdd features you desire for an extra charge. *Change in Policy - Google now charges $50 per user per year for a Google Apps account, therefore, Email account creation moving forward will come at a charge of $50 per email account per year. There is no limit to the number of email addresses that we can create for you. *Change in Policy - Google now charges $50 per user per year for a Google Apps account, therefore, Email account creation moving forward will come at a charge of $50 per email account per year. There is no limit to the number of email addresses that we can create for you. We can configure your email to work with popular email providers to best integrate email sent from forms on your site into you existing email. In addition to the initial creation of your site (up to 15 pages included), we'll add additional pages as necessary. In addition to the initial creation of your site (up to 15 pages included), we'll add additional pages as necessary. Simply provide any unique text or images you would like to use, and we'll incorporate it into the website. Remember, at any point in the future you can easily add more pages using our Content Management System. All page content is fully editable by you. Add a specific form. Great for job applications, reservation requests, and more. Add a specific form. Great for job applications, reservation requests, and more. We'll include the specific fields you desire, and each form submission will send you a complete validated response. The implementation of our proprietary search engine on your website so your site's visitors can quickly search all your pages and content. The implementation of our proprietary search engine on your site to enable the quick search of all content on the site. For visitors to your website that may not be familiar with a new site full of information, this ability can be quite useful. Our Search Algorithm returns the most relevant results first. 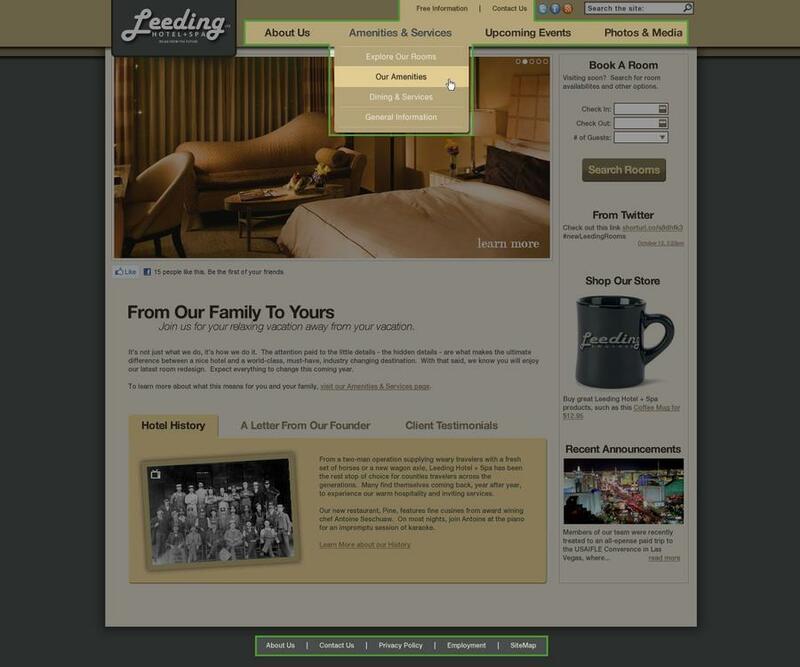 Integrate your third party booking tool into your website for a seamless user experience. We will integrate your 3rd party booking tool into your website and style it to blend in with the look and feel of the site, giving users a professional looking and extremely helpful application to enjoy on-site. The existence of such a booking tool not only has the potential to increase reservations but also automates the reservations system in a way that allows transactions to occur online and will minimize the amount of users calling into your business to make inquiries. Our clients at the Home Hotel have seen a nearly 25% increase in their online reservations since we integrated their 3rd party online booking tool into their site. This feature provides our clients a distinct space for promoting events, local business listings, featured news, and so much more. You will be able to create and target promotional “ads” throughout the site as you choose. 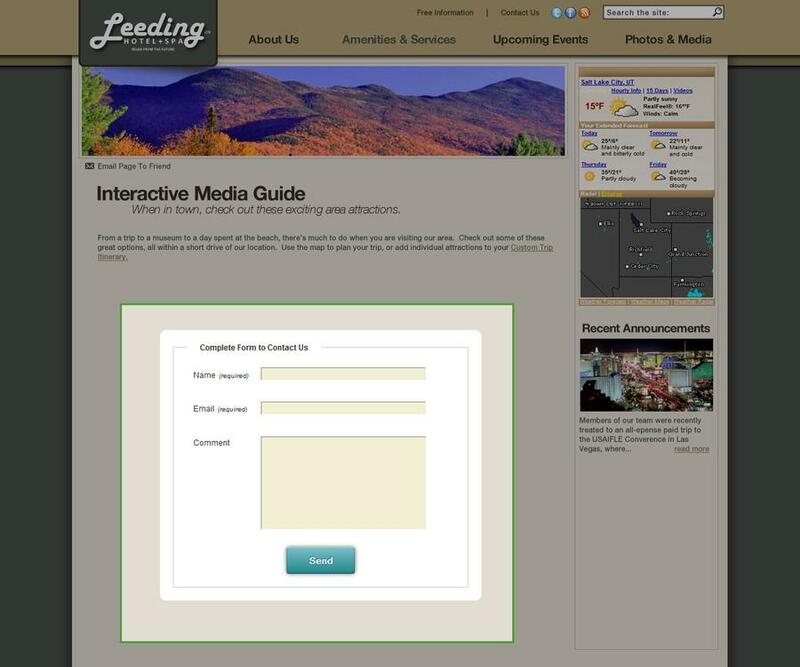 You choose both which promos to display and which pages to display them on, providing a distinct space for promoting events, local business listings, featured news, and so much more. 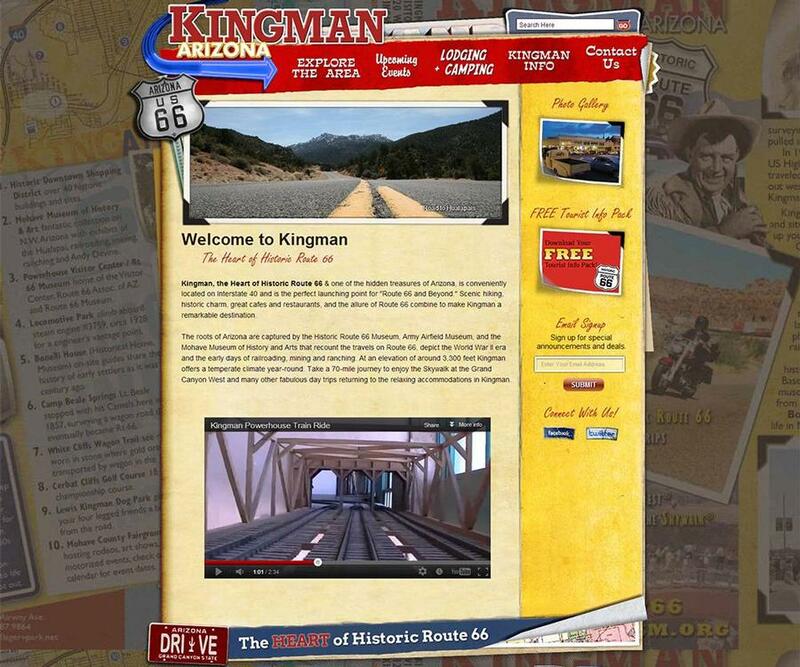 Text and images for the promo ads are easily modifiable through the Content Management System. An extremely clean, organized and easily searchable page used to display similar information. 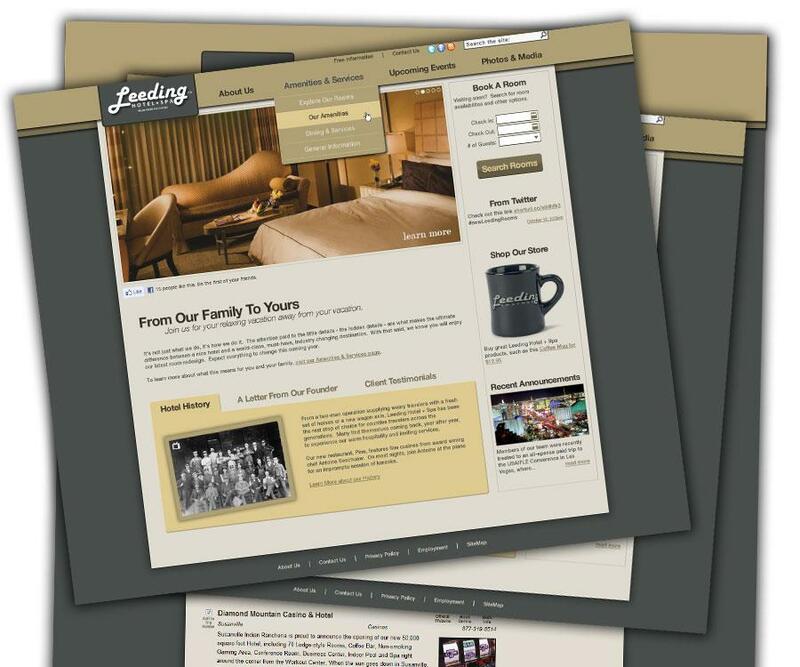 Perfect for pages devoted to hotel rooms, area attractions, hiking trails, coupons, and more. Very clean, organized and easily searchable page used to display topical information and capable of displaying in any way you choose. 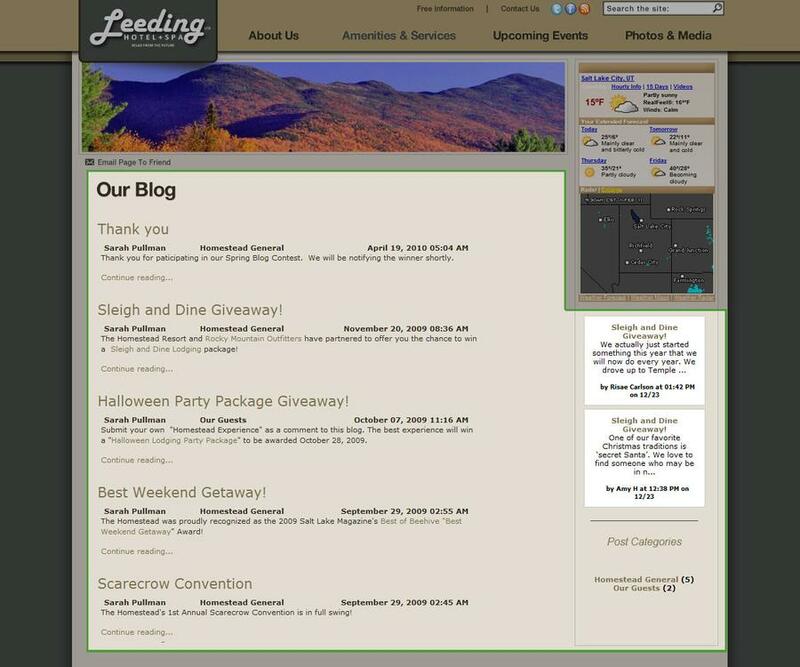 These pages work great for displaying any type of business listings such as attractions or outfitters or restaurants; activities such as hiking or fishing; any kind of product; press releases and even coupons. We work with you to determine what search categories will exist and the best format for the layout of the page. In addition to having an organized list to give a great overall view of your listings, each individual listing will be featured on its own page dedicated to providing more detailed information. As usual, you will be in full control of everything through the CMS. 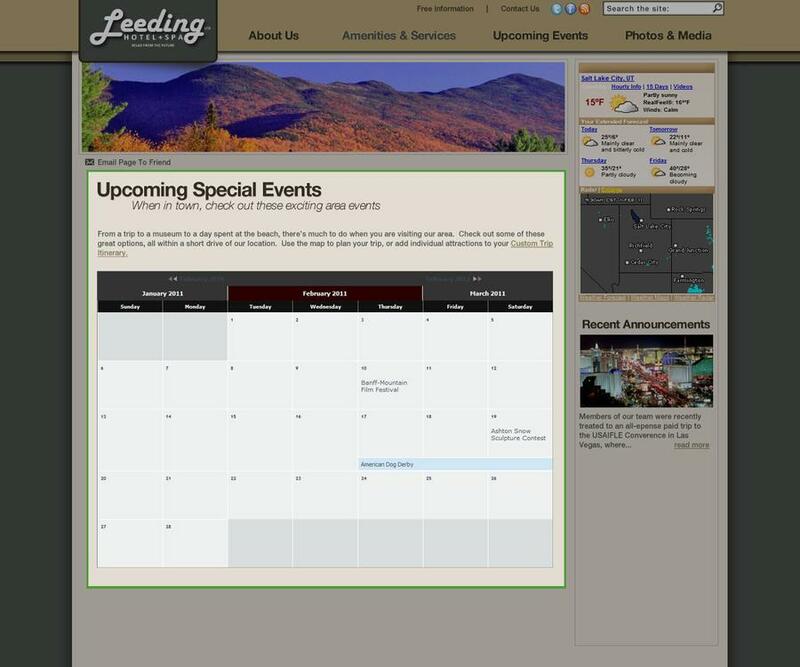 Display events created by you or allow website visitors the opportunity to submit their own events to have a truly community-wide event calendar for all the latest occasions in your area. The Calendar of Events provides a prominent area for displaying upcoming occasions such as festivals, concerts, meetings, reunions, and other special events. Display events created by you, the moderator, while also giving users the opportunity to submit their own events, moderated by you, to have a truly community-wide event calendar for all the latest occasions in your area. Post stories and articles and keep fresh and engaging content on your website, or have your users generate content for you by allowing user submissions. A blog lets you post stories or articles with photos that aren’t optimally portrayed through Facebook or Twitter in order to keep fresh and engaging content on your website. This will be worked into a Search Page and displayed cleanly while having the ability to add stories and posts at any time. Users will have ability to leave comments, submit posts, and tell their stories all while being moderated by someone on your side of the blog. Managing the blog through the CMS allows very easy and straightforward moderation and creation of content while a user-friendly interface fosters user participation through comments and user-submissions. Your website can enjoy an online store capable of holding items for sale and integrated with PayPal or other merchant services for the ability to process sales on-site. Having a virtual storefront built into your website provides valuable exposure for your products to patrons that may not be capable of visiting an on-site gift shop. 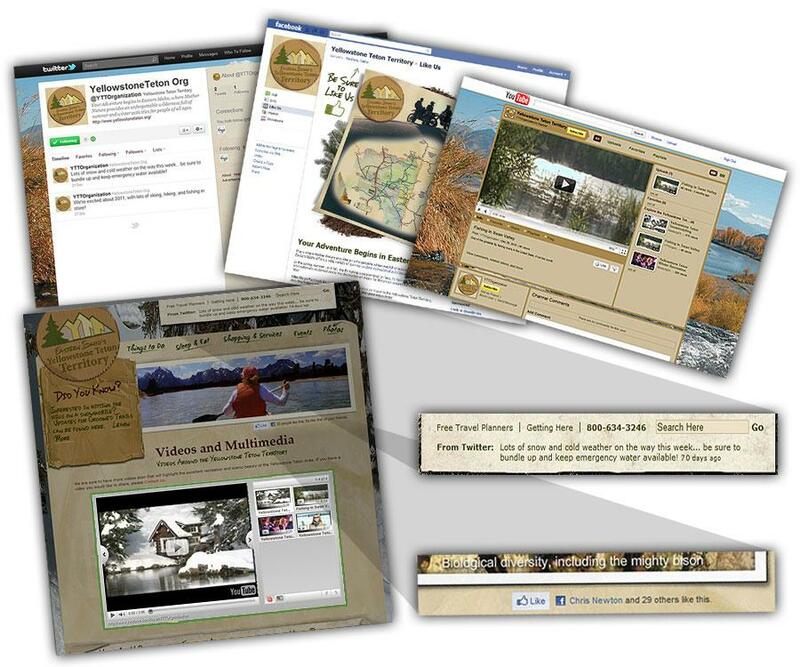 Increase revenues by promoting your offerings online as gifts, keepsakes, and memorabilia. Our online store offers a visual queue of listed items, each with its own section for details, cart functionality for purchasing multiple items and on-site credit card transactions. We will work with you to integrate 3rd party Merchant Services in an eloquent way to provide a professional look and feel to your online store and we will always provide the most secure settings for transactions available via Security Certificates. We'll provide the ability to select certain images and/or full albums to allow password-protected display and download options in order to provide constituents with the ability to download full High-Res images from the site. 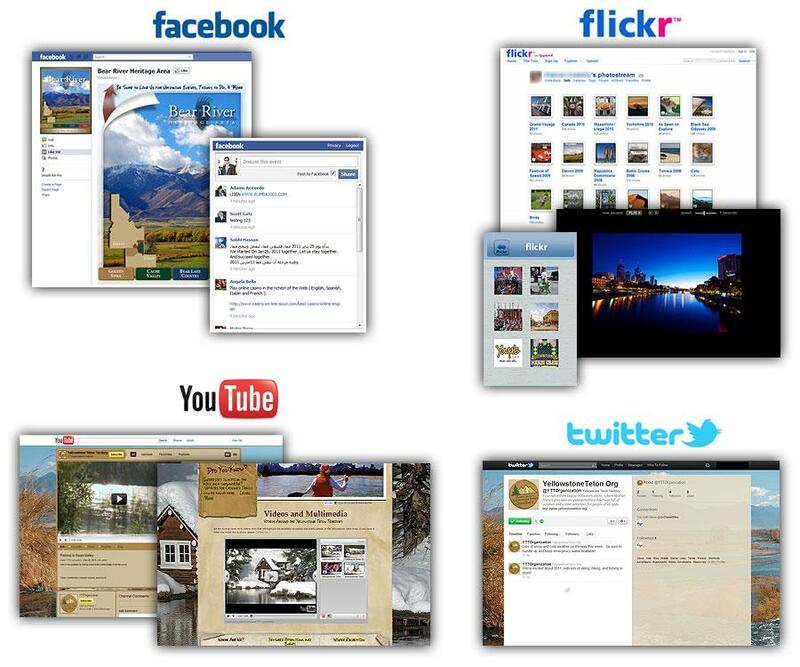 Our proposed option would be using the photo gallery page used by your general users that allows you to display a variety of photo albums searchable by name and/or category by your general users that also has the potential for providing your travel professionals with a log-in access point via a button or link that tells them they can download images. When clicked the user would be prompted for a password, which once entered would give access to download the actual high-resolution individual images or full albums of high-resolution images. 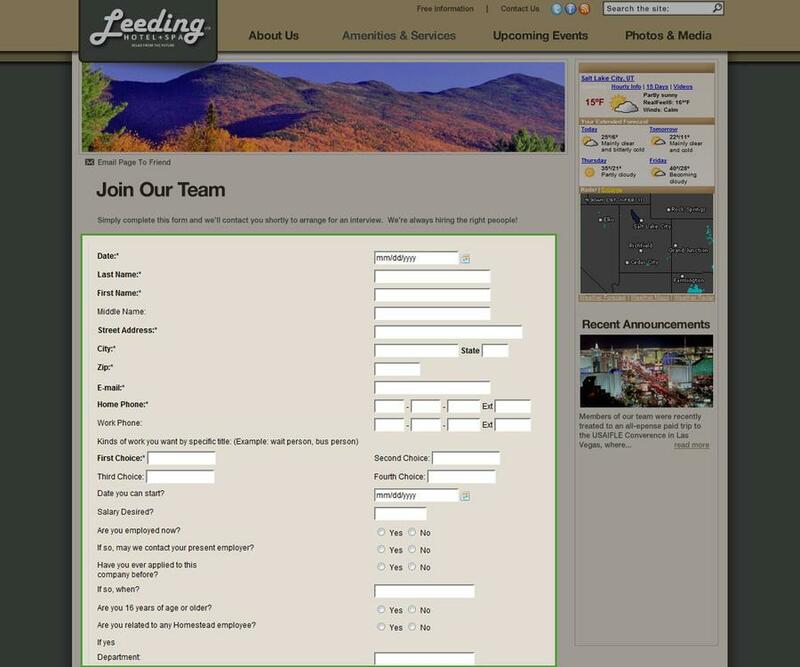 If they did not have access then they would have a form to fill out that would request access from you and you could decide whether or not to grant it. We could provide controls in the CMS for allowing individual photos or galleries to only be shown to people who have successfully entered a password. 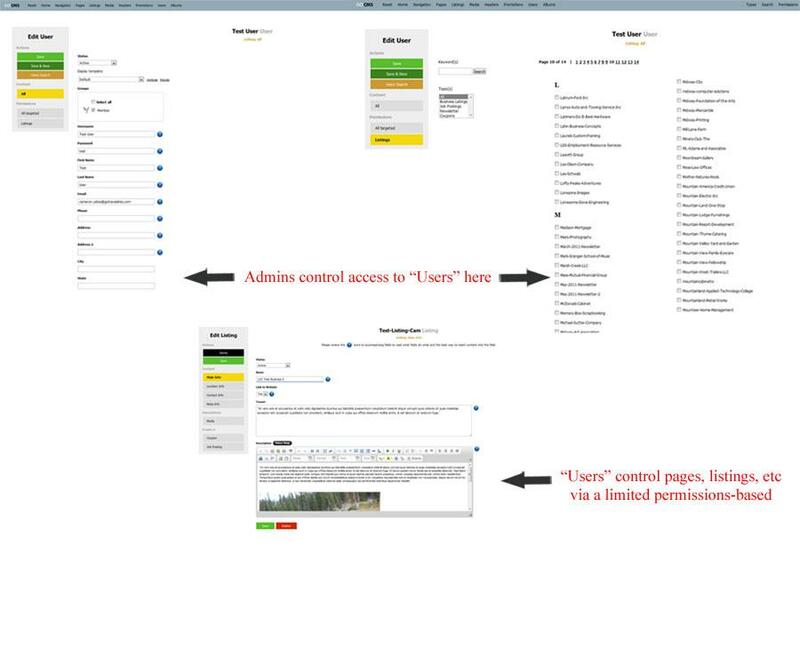 Grant limited access to the CMS allowing "Users" to edit specific pages, listing topics, events, blog posts and more. Built into the CMS will be the ability for you to create 'User' records for departments or individuals you would like to manage aspects of the website. ‘Users’ will have the ability to access and edit the pages of the site you assign to them and additionally create and/or edit events, blogs and listing SRP’s as the site administrator grants access to restricted parts of the CMS via a unique username and password provided to them. This is useful for you in that it is the member’s responsibility to keep their areas of the website up to date, allowing the burden to be spread evenly rather than having one master admin moderating and updating the entire website. Additionally, each 'User' account created will only have access to the pages, calendars, blogs, etc that you assign to them. One 'User' assigned to manage Department A will not have access to manage the content assigned to Department B. The overall administrator/moderator of the website though will have full control to add and edit any aspects of the website and to create new 'User' accounts and assign permissions as necessary. Ever wanted to generate User-Submitted Ratings & Reviews on your site without losing the SEO weight by implementing 3rd party widgets like TripAdvisor? The majority of large brands now offer some type or ratings and review system on their sites, because consumers now expect to be able to read and contribute peer reviews before making purchase decisions – so much so that some 82% of consumers say they find reviews “extremely valuable or valuable,” according to a recent survey. 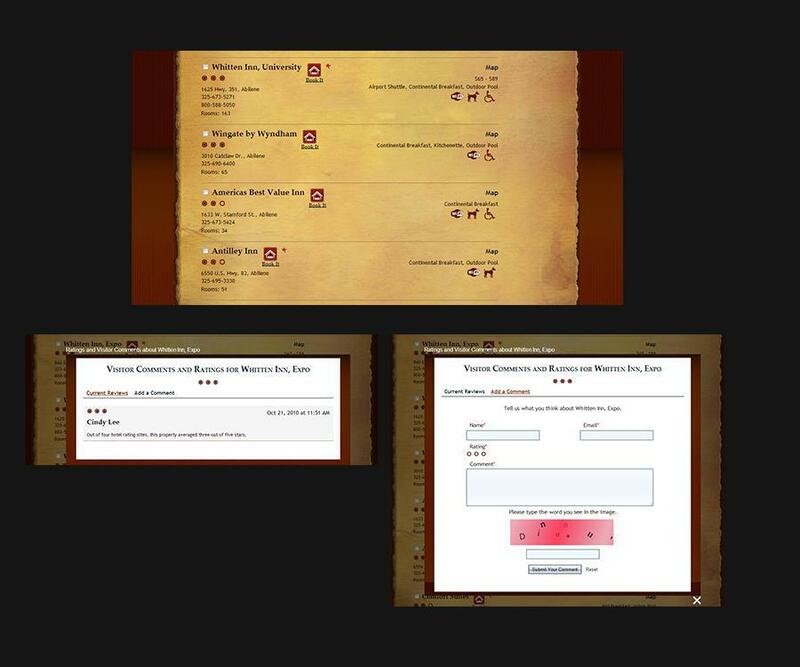 Now you can using our Ratings & Review System! Give your Users the ability to submit ratings and reviews for Listings on your site's Search Result Pages so people on your site become even more engaged and trusting of your content! 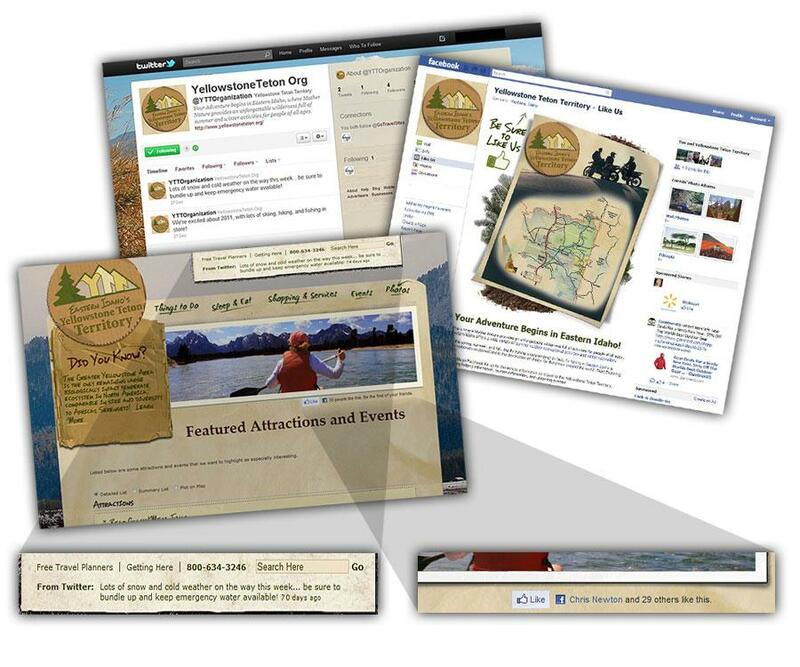 Display a existing PDF dynamically in a fun and easy to use Flipbook. 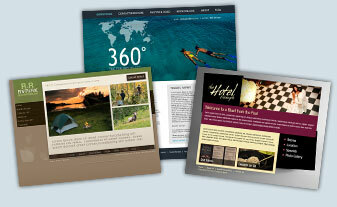 Bring your site to life with an animated Flipbook. Perfect for Travel Planners, Media Guides, and any existing PDF, these Flipbooks foster user interaction on site and help save money via saved mailing costs. The Flipbooks are fun and easy to use, look great and allow for very easy printing and downloading. We empower your site users to select and click to immediately translate any web page into another language. All major languages are supported. We do full buildouts for your company on Facebook and Twitter and integrate the “Like,” “Tweet” and “Follow” functions into your website. We'll create Facebook and Twitter accounts (if necessary) and create a branded online presence across your website and social media accounts. After initial design discussions with you we will present a design for the Facebook page and will produce one revision. Once design work is complete for the Facebook page we will carry over that look and feel to your Twitter account and insert icons into your website allowing the "Like," "Tweet" and "Follow" functions. We do full buildouts for your company on Facebook, Twitter and your choice of either YouTube or Flickr. We integrate the “Like,” “Tweet” and “Follow” functions into your website and also integrate a feed from either YouTube or Flickr. We'll do full buildouts for Facebook, Twitter and your choice of either a YouTube or Flickr account, creating a branded online presence across your website and social media accounts. The YouTube or Flickr buildout will consist of visual customization to the extent possible and the uploading of all content. 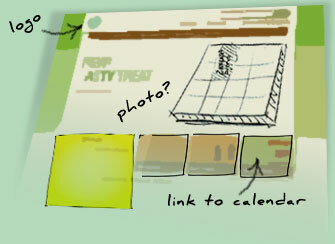 After initial design discussions with you we will present a design for the Facebook page and will produce one revision. Once design work is complete for the Facebook page we will carry over that look and feel to your Twitter and YouTube/Flickr accounts. We will also insert icons into your website allowing the "Like," "Tweet" and "Follow" functions and will integrate either a YouTube or Flickr media feed that updates in real-time as new content is added to your account. *Bringing in a YouTube/Flickr feed would be limited to adding it to an area of the site that would not require additional design work. If site layout must be shifted around the structure of feed additional charges may be incurred. Full custom buildouts for Facebook, Twitter, YouTube and Flickr. Includes integration of data and media feeds from all four sources into a separate Social Media page or on other pages as desired. Our comprehensive package for those ready to harness the power of Social Media incorporates customization and buildouts of Facebook, Twitter, YouTube and Flickr as well as the integration of feeds from each into your website. We'll work with you to create a branded online presence across your website and social media accounts. We'll design a customized page for your organization on an existing or brand new Facebook page and then carry that branding look and feel over to your Twitter, YouTube and Flickr accounts. Additionally, we will perform initial uploading of media content to all accounts. Finally, we'll also insert icons into your website allowing the "Like," "Tweet" and "Follow" functions and will integrate data and media feeds for Facebook, Twitter, YouTube and Flickr that update in real-time as new content is added to the accounts. These feeds are capable of being implemented onto a separate Social Media page or within existing pages as desired. *Bringing in data/media feeds to a separate Social Media page is included in this price, however, dispersing feeds throughout website pages would be limited to adding them to areas of the site that would not require additional design work. If site layout must be shifted around the structure of feeds additional charges may be incurred. This goes beyond our standard Mobile Site Friendly feature. We fully redesign your website to optimize it for display on the relatively small screens of mobile devices. This goes beyond our standard Mobile Site Friendly feature. We fully redesign your website to optimize it for display on the relatively small screens of mobile devices. The site will focus on displaying content in an organized and simple-to-browse format and will thus have a different navigational format than a normal website. 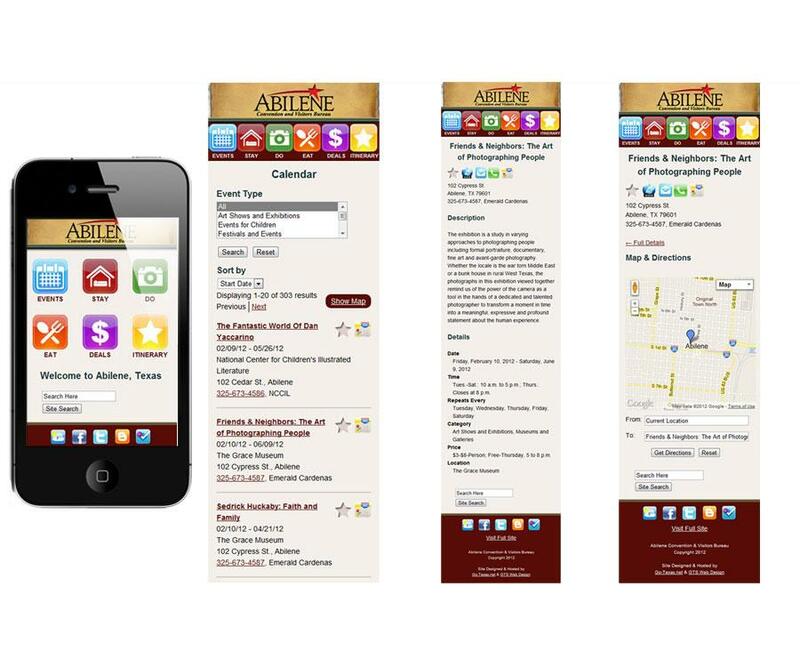 Mobile sites will include every part of the original site you desire. Integrated into your website’s CMS can be the means to create and send E-Brochures, E-Newsletters, E-Announcements and other promotional materials to a large number of recipients through an easy-to-use interface. Your organization staff would be empowered to create rich media emails by modifying existing templates or creating the item from scratch. 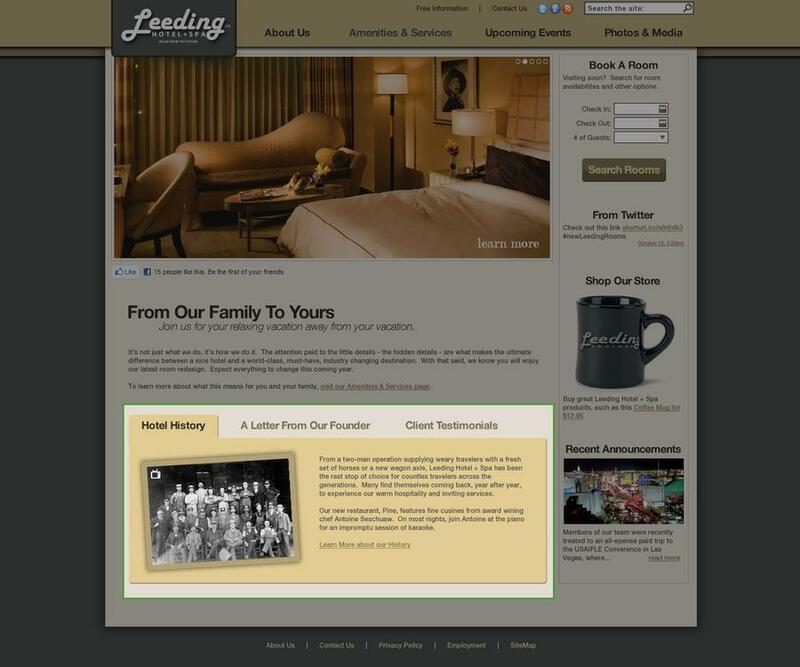 Once in the form desired, staff saves their creation, and then selects the group or groups to send it to. A single button click sends the message on its way. This Email Distribution System is integrated with the website so that email requests coming through the site are automatically added into the database for subsequent mailing to that person. So people requesting brochures, signing up for newsletters, etc are no longer a burden. Two years not enough? Add a third year of hosting at a discounted rate. Choose the level of design services you desire and each feature you would like to have and your total cost will be shown. You can print a summary if you'd like. Contact us today at 888-454-8824 or by Email and we'll answer any questions you might have. We'd love to speak with you! Give us a call at 888-454-8824 or submit the request form below and one of our helpful representatives will respond promptly. We can have a beautiful new website completed for you within a week or two! 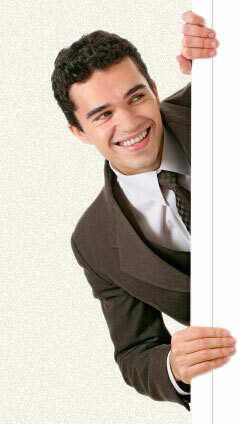 Always feel free to call us at 888-454-8824 or Email Us and we'll discuss your needs in detail. Thank you for visiting http://www.gtswebdesign.com/Business-Websites! 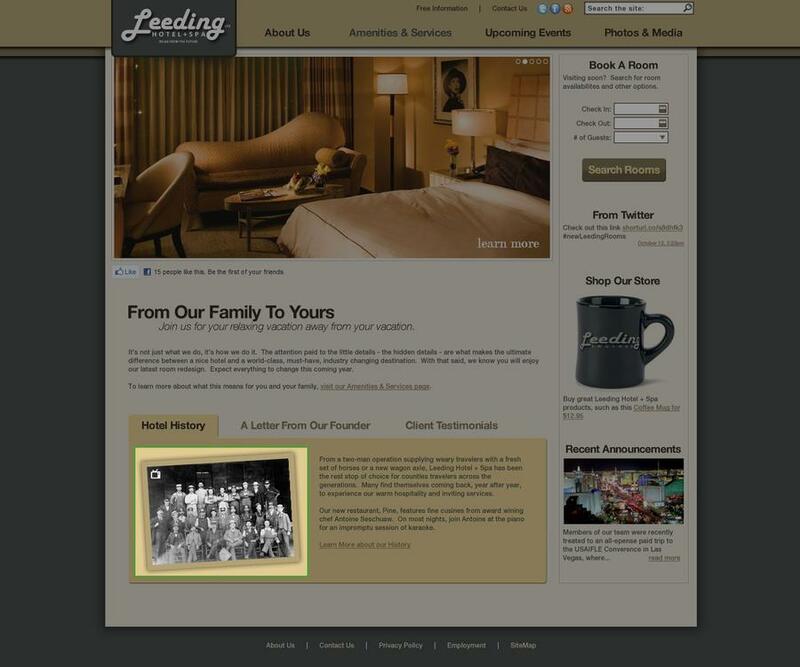 Be sure and revisit gtswebdesign.com frequently for content updates and more.